We love using the Anywhaircare organizer bag to store our products for our hair care. It makes finding products easily and convenient. Here is the Promocode: NATURAL6 (Discount - 15% OFF). 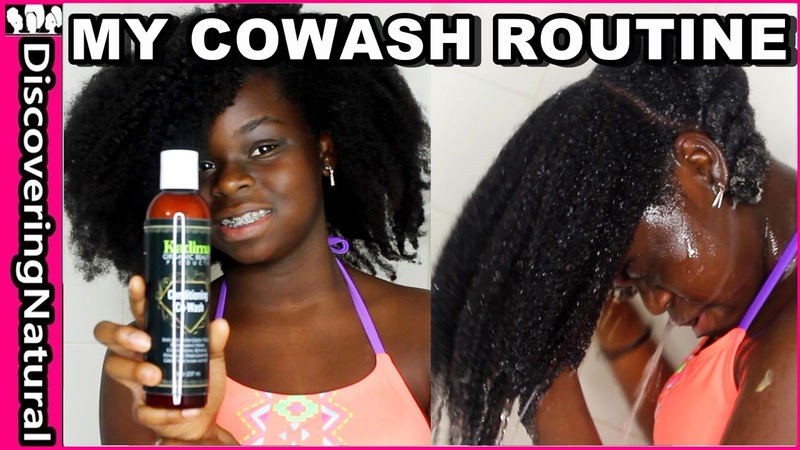 I am so EXCITED to show you my quick Busy Teen Cowash Routine. This takes me less than 10 minutes to do. I used Kadima Conditioner Cowash, which is infused with Peppermint and other herbs. 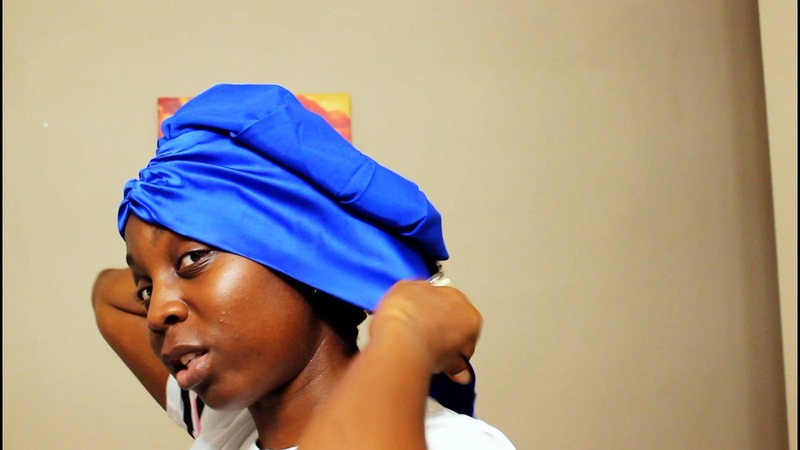 It also contains Apple Cider Vinegar to help cleanse my scalp and hair. 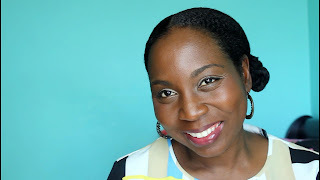 You can find it at http://kadimaobp.com or on Amazon at http://bit.ly/Natural_Hair_Products or http://amazon.co.uk if you live in UK. Have you ever wondered if it is possible to wash your natural hair in cornrows? 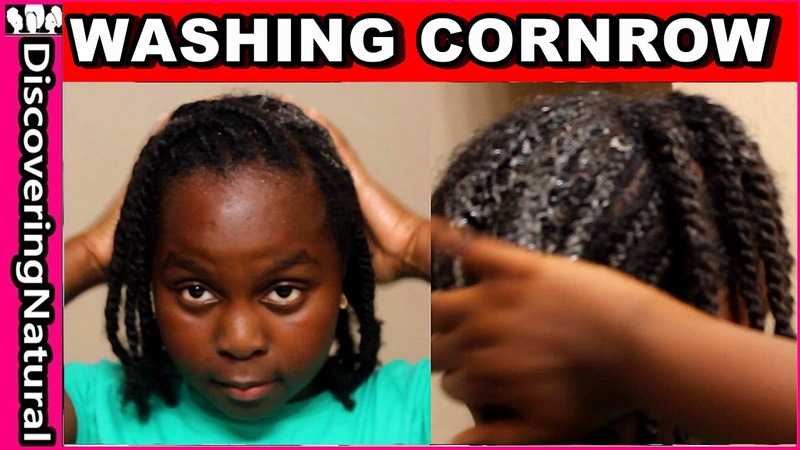 Watch as 9 years old Tolani shows you if she can get her hair cleaned while in cornrows. 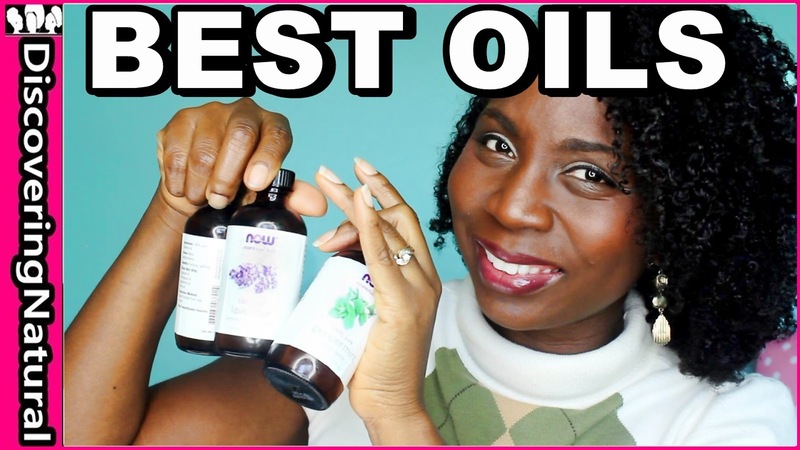 Which oils do you use on your hair and your kids' hair? How do you use them? 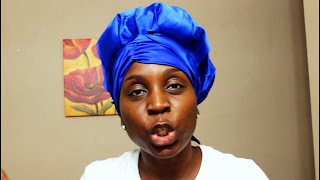 For my kids and myself, we actually make an oil mix that has different functionalities. In this video, I highlight the difference between penetrating oils and sealing oils and share with you some oils that are beneficial for nourishing the scalp and also helping the hair be luxurious. 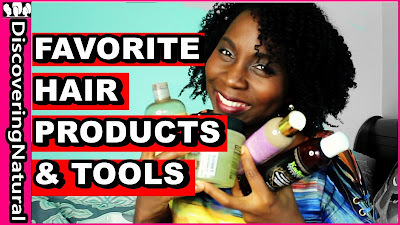 In this video, I share our favorite Natural Hair Products and Tools for Natural Hair. 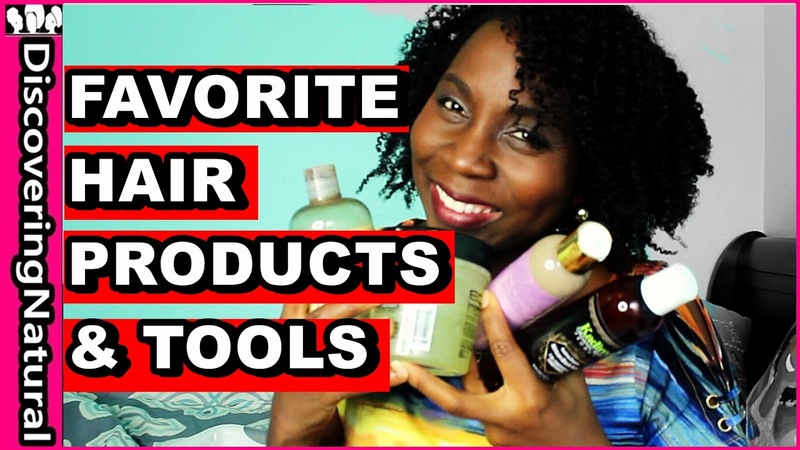 These products work for High Porosity Hair, Medium Porosity Hair and Low Porosity Hair. 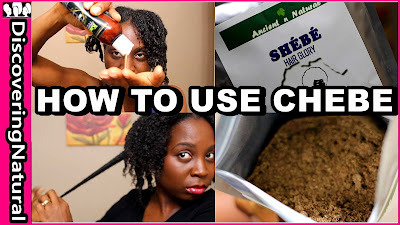 In this video, I show you 2 ways that I have been using Chebe / Shebe to keep my hair moisturize and also to strengthen my hair. known as Croton Zambesicus, Mahlaba seeds, Missic resin. Chebe known as Croton Gratissimus and Croton Tiglium. 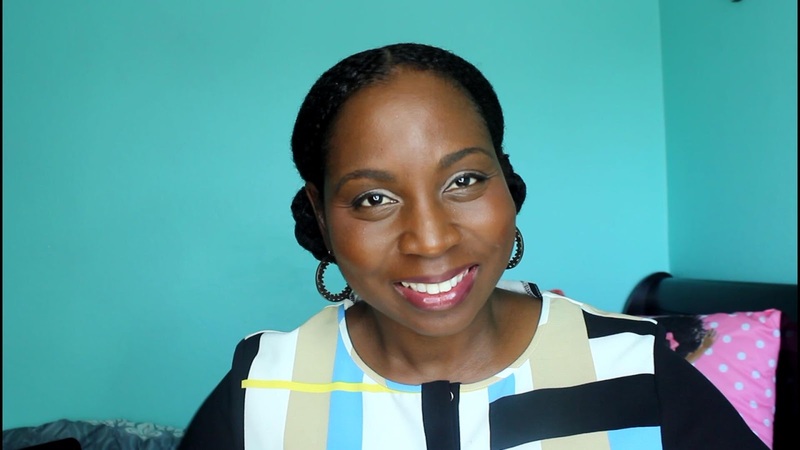 You can use this powder in an oil, butter or moisturizer. I used it as part of my deep treatment process. This helped to infuse moisture into my hair and strengthen my hair. I apply this each time I wash my hair, which is usually weekly. I also use this with my shea butter as my sealant. 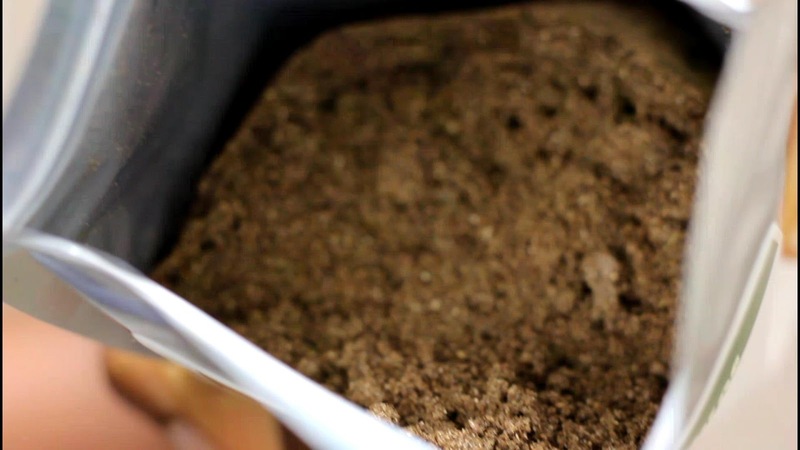 The powder has a nutty smell and feels a bit grainy. 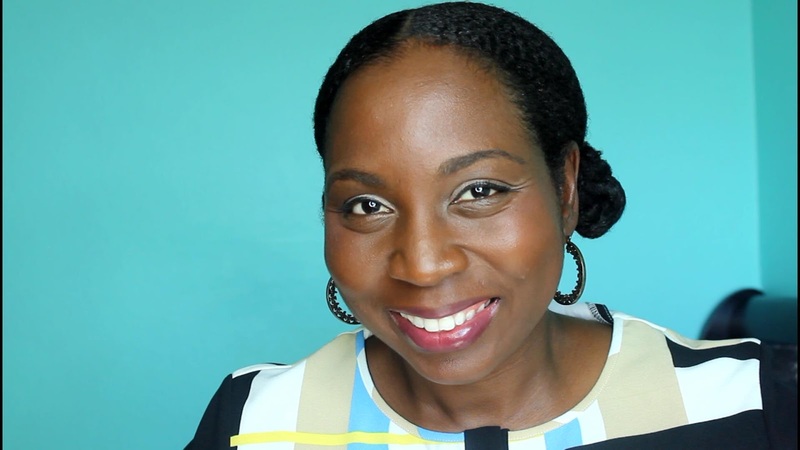 You should only use a small amount when being left in hair so that it is not too visible in the hair and does not create fall out. All the products from Kadima Organics Beauty Products are all organic and contain no chemicals. 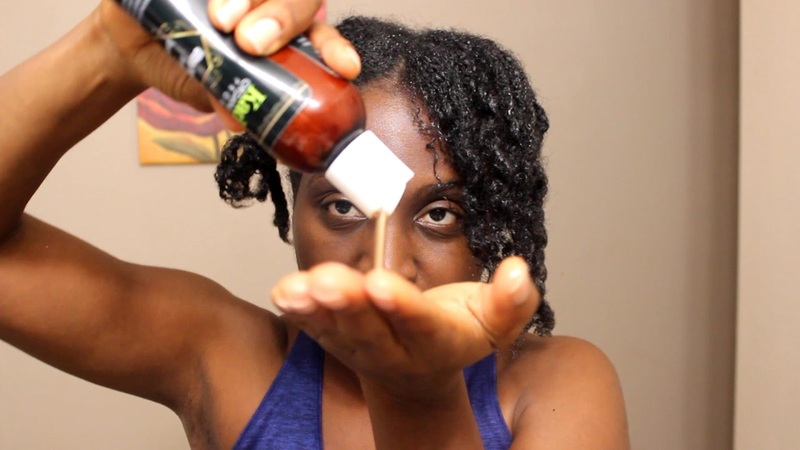 This makes it a perfect match for an herbal hair care routine. As a mom of a teenager... ah yes.. she is finally a teenager... I want her to be more adventurous with her hair styles, without damaging her hair. 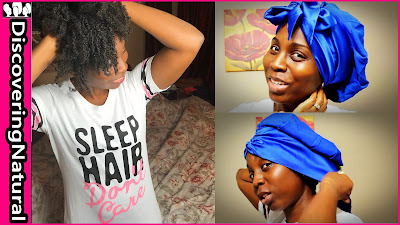 To prep for this hairstyle, she shampooed her hair and deep conditioned it. 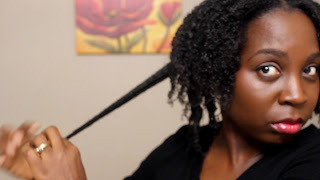 Then she moisturized her hair and put into about 20 twists overnight. 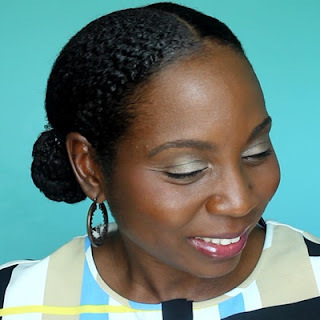 This hair style can be modified into 5 different styles that your child can do on her own. This is a great style that works for school and even for any festive occasion now that we are in December and all the holiday festivities are going to start. 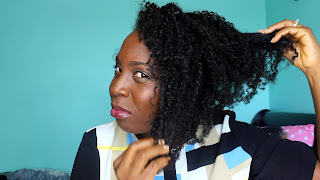 We used one of our products with no shea butter ; the Glossy Tangles Decadent Mango Butter Cream. It has no shea butter. Use the code “Discover20” for $4 off per jar. Ah... the last month of the year. Is it just me or did this year by too fast? Well, before we start off November's empties, if you have not been on our Youtube channel, DiscoveringNatural, you are missing out. Something happened last week and I created a BRAND NEW CHANNEL called DiscoveringNatural Live Streams. This is where our weekly Natural Hair Live Chat will take place. 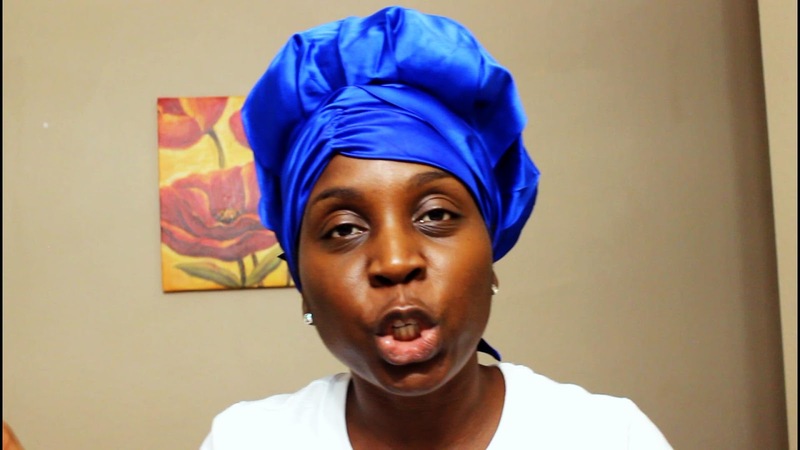 You can click here to get there and subscribe. Don't forget to click the notification bell so that you will be alerted whenever we go live. By the way, on live chats you can ask me any question. This conditioner has been one of our staples for about 2 years now and this was our very last bottle. Worked fine,... but I want to explore more leave in conditioners. So I will not be repurchasing. Not that anything was wrong with it, but I am just interested to see what other new leave ins are out there. 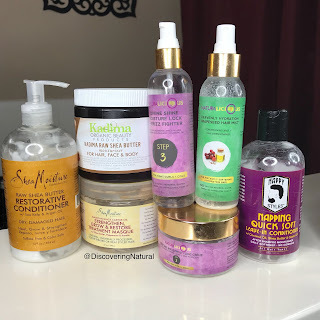 #productJunkie. 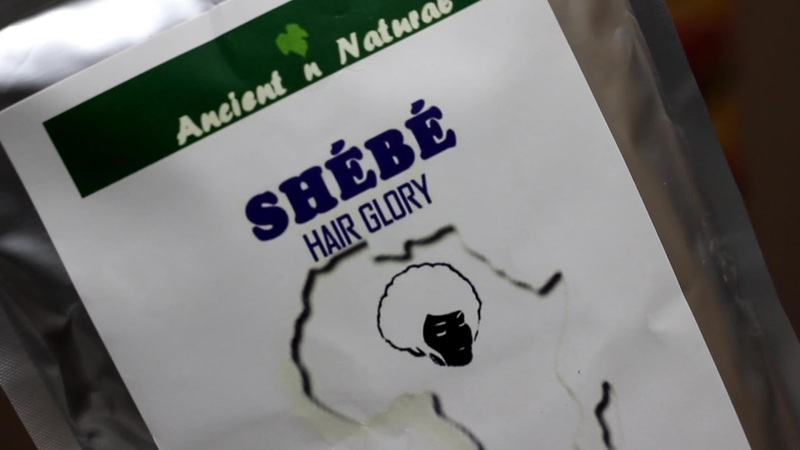 How did we use this: Most of the time, we used it as a leave in conditioner. 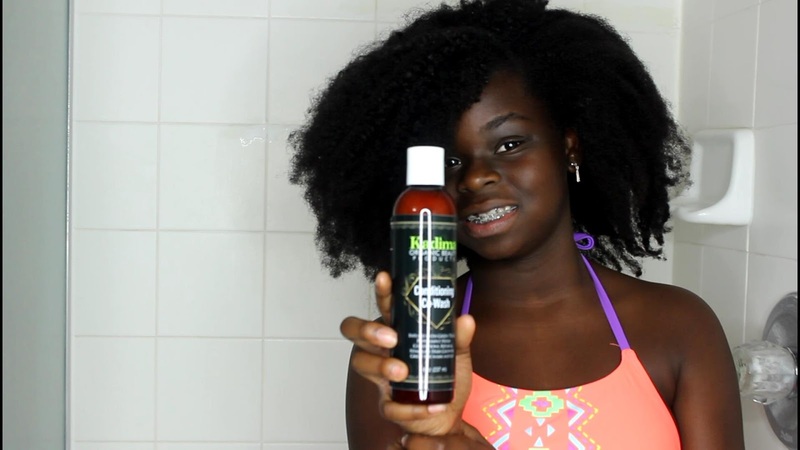 It is a leave in conditioner that works on all hair porosity. I have used it as a cowash, rinse out conditioner, and leave in conditioner. Where to buy it: This can easily be found anywhere hair products are being sold. I normally get mine when there is a sale, and Walgreens in my #1 spot. If you can't find it where you click, click here to get it online. This is our go to light protein treatment. We do use it at the end of each month. 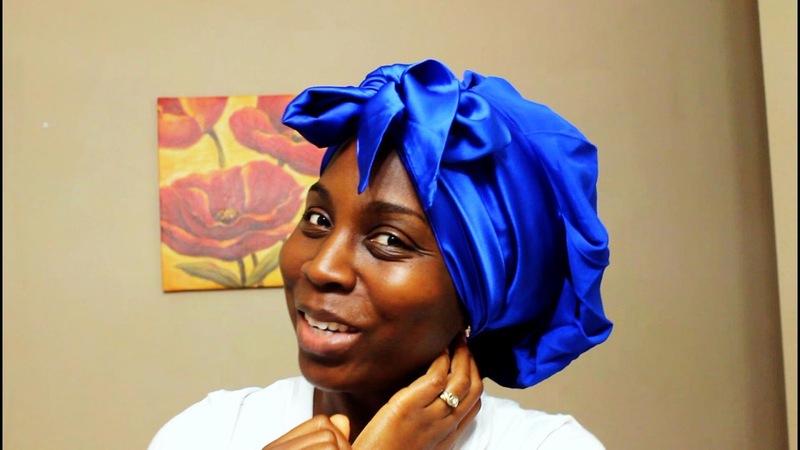 When we first started using this product, I would do a moisturizing deep conditioning after using it. For some reason, at that time, our strands would feel dry after using this product. For the past 3 months, I have skipped doing that moisturizing deep conditioning and find that our hair stays moisturized. 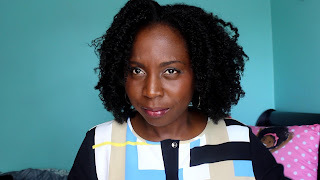 I believe the reason could be the health of our hair has improved, or the products we use to moisturize our hair is doing a great job. 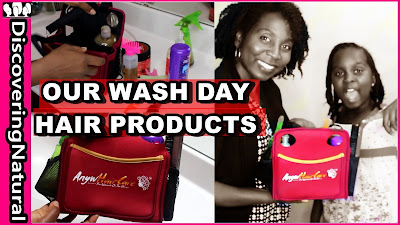 I love these products and if you look at our past empties you can see them there again. Click here to see our reviews and how we use them. This is my husband's empties. In the month of November, the girls challenged their dad to a #NoShaveNovember challenge and he took the challenge, This product line worked great for him and his beard and little TWA. I think he will keep growing his bread, but not his beard. LOL! See pictures on our Instagram page, DiscoveringNatural. CHECK OUT THOSE WAVES!! 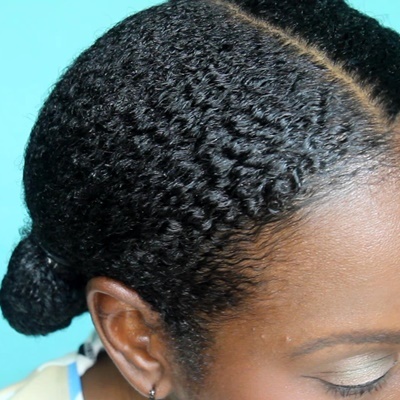 Learn how to create waves in hair especially on natural hair. 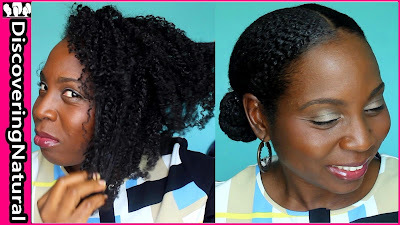 This is a quick protective style. You can do this on all hair types.